Rethm Maarga review - Soundstage Reviewers' Choice Award! "The Rethm Maarga is a unique speaker with little competition. Yes, there are other speakers based on wideband drivers, but none that I know of that offer its combination of high efficiency, low-frequency performance, and value. 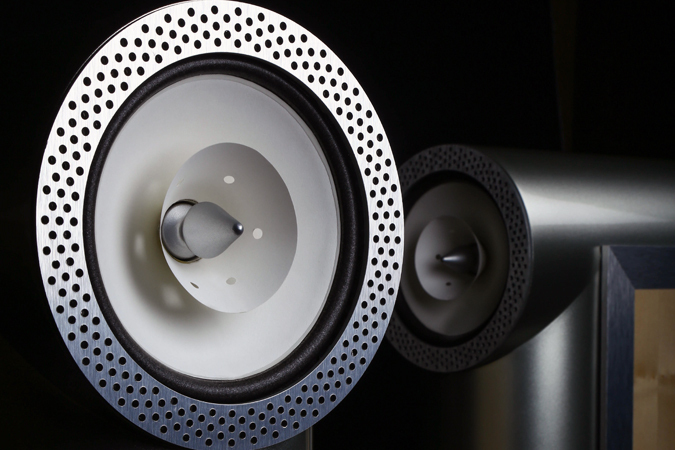 The Maarga is an extraordinary combination of sound and vision. I found it well suited to music lovers such as I -- those whose stereos are in the living room, not tucked away in a dedicated listening space. When they weren’t turned on, they were lovely pieces of furniture with high Wife Acceptance Factor. When they were turned on, they provided lively, enthralling sound that was immersive, real, and completely non fatiguing. Given the Maarga’s fantastic sound quality at low volumes, it should also be well suited to the music lover who wants to listen late at night as the family sleeps. The Maarga might also be the ideal speaker for the music lover already smitten with low-powered amplification and/or tubes and who seeks a high-efficiency speaker at a moderate price (for the high end). The Maarga positively bloomed on that first watt, and needed no more than that to fill my living room with sublime sound. That’s not to say that owners of high-powered solid-state amps couldn’t also fall in love with the Rethm Maarga, but such overkill would miss the point. If a big, beefy power amp is your thing, the Maarga’s allure will likely escape you. Think of a pair of mature, well-broken-in Maargas driven by a high-quality, cleverly designed, small-batch, low-watt amp as a long, complex, and magical marriage -- a wonderful, many-layered mystery tour to your favorite musical places. I found that the Maarga’s strengths -- microdetail, speed, soundstaging, coherence, layering, nuance, presence, depth -- came alive with just the tiniest bit of power. With a pair of Maarga's wisely driven by such an amp, prepare to exit the audio-upgrade merry-go-round. Maarga is Sanskrit for path; the word is often used in the context of seeking the path to enlightenment. Is the Rethm Maarga your path to audio nirvana? I’ve found it to be mine. A must-listen for the music lover with worthy amplification."